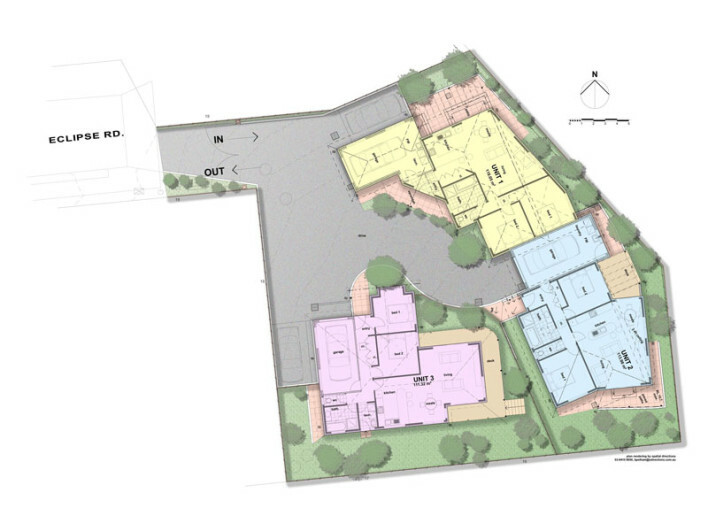 Three units designed by Spatial Directions and to built by Cre8tive Constructions have received planning approval. The site, located in Austins Ferry on the western shore of Tasmania’s Derwent River, features views across to Mount Direction and responds to make efficient use of a “battle-axe” shaped site. Site planning was a challenge with the demands of on-site parking, vehicle manoeuvring and providing generous private open space, but all three units are well appointed with their own garage, 2 bedrooms and open plan living areas with fantastic views and access to northerly light. Construction due to begin in the coming months.